Aljur Abrenica is Men's Health Guy for December 2012! For the second time around, Kapuso hunk actor Aljur Abrenica graces the December 2012 issue of Men's Health Magazine. On his second magazine cover, Aljur is sexier wearing a black sando unlike his first cover. He exposed his yummy hot abs on the latest edition of the magazine. 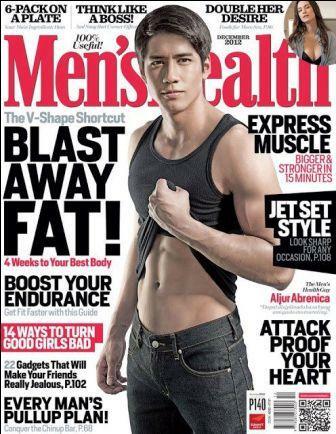 And of course, here is his first Men's Health cover last February 2011. Try to compare the two magazine covers of Aljur for Men's Health! Of the two magazine covers above, which is your bet? !